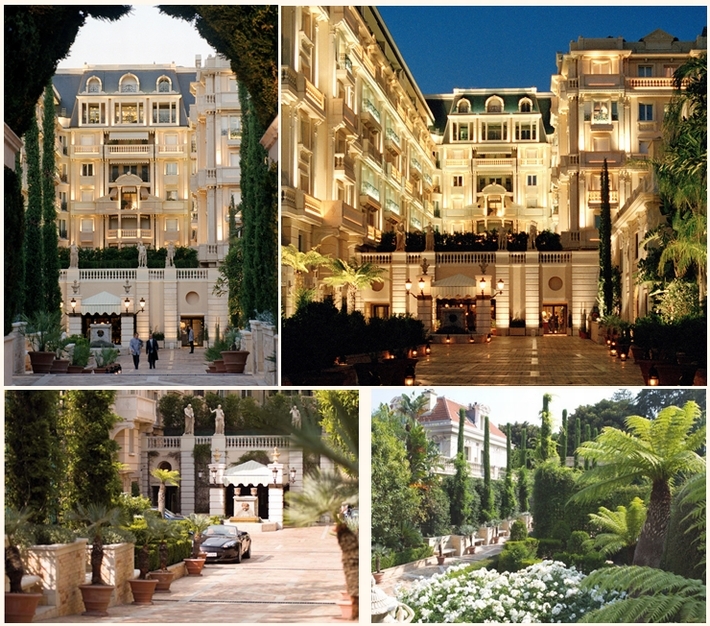 If you are looking for accommodations in Monaco, I fully recommend this place, the Hotel Metropole Monte-Carlo. While located in central Monaco and within walking distance from The Casino De Monte Carlo, it is surrounded by gardens and its quiet atmosphere is appealing. It’s a famous hotel where foreign stars and celebrities are regulars whenever they visit Monaco. For a short while, I felt like a princess in such a lovely hotel! With an atmosphere of a bygone era representing Monte Carlo style and interwoven with a modern feel, this hotel was remodeled in 2004. Its look has undergone a complete change in the hands of world-famous interior designer Jacques Garcia, evolving into a contemporary and modern space. Let a doorman lead you inside, and an expansive lobby and bar area awaits. The decor changes every three months according to a theme and the season, delighting those who come here. Ms. Laurence Shukor, in charge of PR says, “Instead of a hotel, we’d like you to think that it’s a big house that you can relax in. Precisely because we are a small hotel, we try to personalize our services.” This kind of hospitality has borne fruit, and this hotel was chosen as Europe’s Best Hotel of the Year in 2007! Well now, you might be wondering about the food. Actually, they have three premier restaurants within the hotel under the stewardship of celebrated chef Joel Robuchon. Aside from “Joel Robuchon Monte-Carlo” which has 2 Michelin stars, there is “Yoshi,” a Japanese restaurant and another option for variety. Of the three restaurants, I had my breakfast at “Odyssey.” This poolside restaurant serves Mediterranean fare by Joel Robuchon. With a view of a verdant garden and the pool, reveling in the resort-like atmosphere while having breakfast or lunch at this place is the best! And I was told that the one who designed this restaurant is Karl Lagerfeld!! The open, modern and sophisticated atmosphere is just what you’d expect from the maestro. I had my fashion game face on first thing in the morning LOL. Next, I’d like to share with you “Metropole Espa,” the hotel’s pride. It combines a spa, fitness center and beauty salon in one place, and offers tailor-made options for each customer’s individual needs. Feel the stresses of travel melt away in this luxurious space. Please check my next post for my take on the rooms of the Hotel Metropole Monte-Carlo!